Many mechanics have faced the moment they realize they have no idea which tire changer to get for their shop. To make matters worse, purchasing one without doing the research or talking to a trained expert can cause people to make a purchasing mistake. Unlike car lifts, which are pretty easy to figure out (you can look at the dimensions of your garage and car, and it’s usually easy to tell if your vehicle/space is right for that lift), tire changers are relatively tricky to understand. For one, they have a ton of features that you may have never heard of before. Tire machines are highly sophisticated and, let’s face it, strange-looking devices. Some have hydraulic drop-rollers, tilt-back towers, swing arms, interchangeable “duck heads,” etc. How do you decide which features you need on your equipment? Which company should you go with? If you’ve never bought one before, or even if you’re an expert, this page is for you. These are the top four mistakes people make when buying a tire changer. This one hurts. When we say the turntable clamps extend to a 30" diameter (or whatever the case may be), that doesn’t mean it will service a 30" tire. The clamps have to retract so they can grab the tire—you can’t just jam in a tire and hope it fits. For a tire changer to work properly, the tire/wheel size has to be smaller than the maximum extendable range of the turntable. Make sure the turntable extends to the right diameter, and know whether you will be externally or internally clamping your wheel. It makes a big difference. Always call us and ask if you’re unsure. 2. Buying the most expensive one "just because"
Do we sound crazy advising you not to buy the tire changer that makes us the most money? We’re not crazy. Some models, especially ones that tend to cost a little more, are made exclusively for high-performance wheels and tires. There are certain features on these machines that seem more appealing (especially when they’re on sale), but they’ll actually hold you back if you’re not in that high-performance market. Be sure to consult a trained BendPak representative before you buy. If you see a tire changer on sale and think it’s time to jump on a great deal, don’t write that check until you have a conversation with trained personnel. Tell them what you service and how much space you have in your shop. 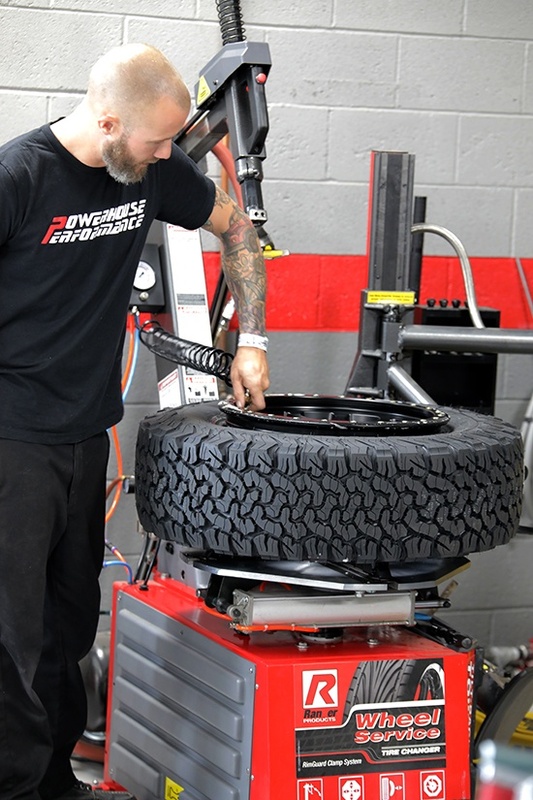 Our BendPak / Ranger experts can tell you if the magazine discount that caught your eye is just going to cost you extra in time and aggravation or if it’s truly the best tire machine for your needs. If you’ve only used manual tire changers or are used to working with two mechanics to change a single tire, it’s easy to miss the importance of the swing/assist arm. 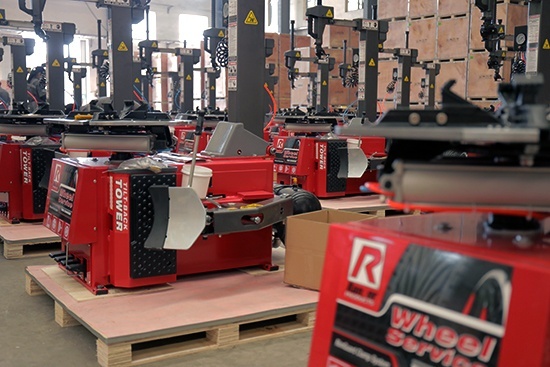 It adds a little to the cost of the machine, but it’s a massive time-saver for most shops. The assist arm is pneumatically powered, locks in place and applies a lot of pressure without damaging the tire. A specially designed clamp lets the tire rotate safely with the movement of the turntable. The clamp efficiently helps unseat the bead. Without a swing arm, you’ll soon find yourself fighting stubborn beads—a waste of time that slows business and eats into your profits. Put simply, electronic and pneumatic components are complex. Not only that, they’re mostly hidden from view. BendPak / Ranger doesn’t expect you to be an expert in these matters. That’s why we put a warranty on every tire changer we offer and stand by our service record. Other companies don’t give you a good enough warranty, and even though they know how service your tire changer in the event it requires maintenance, they might have lousy service that does you no good. If a company won’t stand behind their product, that company is useless. BendPak / Ranger is proud of our product lines, but we understand “stuff happen.” At any time a new or inexperienced mechanic could do something regrettable and harm your equipment. In a busy shop, you just never know. Our full-time customer service staff is prepared daily to handle anything. A nationwide network of BendPak / Ranger certified repair services are at our beck and call, so we can promise high-quality assistance with both parts and labor. Excellence in customer service after-the-sale is one of our top priorities, so please give us a call if you have any tire changer-related questions or concerns.